Too many start-ups don't make the grade - what makes a successful business take off? Starting a new business is exciting, but there are many traps for the unwary. Some would-be entrepreneurs stick so firmly to their step-by-step guides that they don't see what's really going on. Others become so obsessed with potential problems they lose sight of the bigger picture. 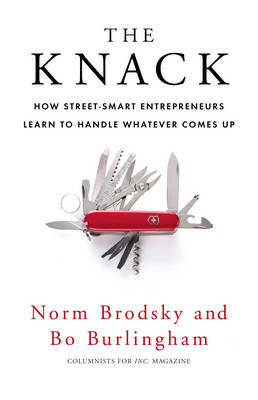 What they really need, according to serial entrepreneur Norm Brodsky, is a mindset that will help them to stay focussed on the real goals and grab opportunities whenever they arise. He calls it 'the knack'. It's helped him to build eight phenomenally successful companies, and in this book he uses stories of real companies facing real challenges to show you how to develop it too.